A couple of months ago, my 16-year old son and I did an experiment to see how effective Search Engine Optimization for video could be. Could we make a video, upload it to YouTube and set it up so that it would organically draw lots of views and appear in Google searches? In just 2 months, we have drawn more than 4,500 views. 40 comments have been made about the video. 29 people have “liked” it. 2 have “disliked” it. 7 people have “favorited” it. Search demographic is 96% male, 4% female. Largest age range is 45-55. Second is 35-45. 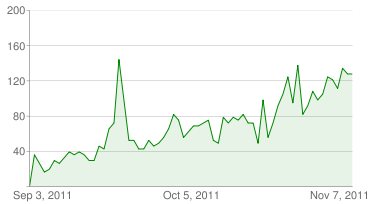 Today, it’s averaging over 120 views per day, and growing. This is essential. As the owner of a video production company, the first question I ask a client when preparing to produce a video is “Who is your audience?” It effects everything about the video: the content, the style, the editing, the music, the length, and the distribution. You’ve got to know who will be watching the video and why. For our video, we wanted to reach a niche group of gamers who use high-end gaming accessories from a company called Razer. And, we wanted to feature one of their products — the Razer Nostromo Gaming Key Pad. So, Caleb put together an outline of what he wanted to talk about in his review of the product. We tried predicting who would watch this video — young gamers interested in Razer products. Create a coherent, well-told story. Have a beginning, middle and end. Script it. Shoot with a quality video camera. Don’t use a webcam or Flip camera. Shoot in HD. Use good lighting. You can do amazing things with one light and a good camera. Use a quality microphone. Audio is essential. Editing is very important. Study other styles, and edit well. Don’t be cheesy. Use music to fill the slow parts, and license accordingly. Get feedback before publishing the video and tweak as necessary. Or, just hire a professional video production company, like Top Pup Media. Production quality does matter. For the video in this experiment, we shot it with the Panasonic AF-100 in 1080p. We edited and exported the video using Final Cut Pro. YouTube lets you create a channel for your videos. You can theme your channel with graphics, images, text styles and colors. Remember your audience and build your channel with the audience in mind. Here’s Caleb’s YouTube channel that is themed around gaming. Mashable has some great tips on creating your YouTube Channel as well. Now that YouTube allows High Definition videos, it’s important to shoot, edit and upload your videos in High Definition. 720 is acceptable, but 1080 is best. It’s the highest quality video resolution currently allowed by YouTube. The web encoded video should be much smaller than your master video. Our ProRes LT master video was 8.7 GB in size, and our HD web version was 438 MB. Upload this web-encoded video to YouTube, not your master. Now that your video is uploaded, it’s time to optimize it for find-ability. It starts with the perfect title. Your YouTube video title is everything. It carries incredible weight for search engine results. It will make or break your search results. For our video, we featured the “Razer Nostromo”. Thankfully, Razer uses unique names for their products; so, creating a unique title was simple. Our goal was to be ranked in the top 10 YouTube searches for “Razer Nostromo.” To date, we are number 7 for this keyword. Your YouTube title can be up to 100 characters in length including spaces. Use those characters wisely. Make sure to include the most important keywords in your title. Keep it informative, specific and focused. Avoid vague, misleading titles. The video description is also an opportunity to leverage valuable keywords and information. Be descriptive and write for your audience. Be concise, informative and clear with your words. Don’t overwrite. Also, URLs appear as links in the description. This is another good opportunity for SEO. Clicks on those links will drive more traffic to your website, improving SEO. You may want to include the links at the first part of the description so that they are seen when the description is reduced in size. Music credit with link for Creative Commons Licenses. Tags are important as well. They can determine how the video ranks in searches. Include tags that are relavent to your video content. As an example, we included a variety of game names that gamers may play using the Razer Nostromo like Minecraft, League of Legends and Team Fortress. We also included other Razer products that might be included in the review. And, we included tags for game types like FPS and MOBA. You must engage your audience. Engage as many people as you can. And, engage them genuinely. Answer their questions. Respond to their concerns. Listen to their ideas. Engagement will increase your followers and views. We also posted the video on Razer’s Facebook page. Notice the spike about two weeks into the start of our experiment. As you can see, the views jumped to almost 150 views in one day. If we had continued finding other Facebook fan pages, forums and blogs, we could have easily increased our views and exposure. Three years ago, we posted a video on YouTube called “Road Trip to Guanajuato” and forgot about it. About two years after posting it, we got a message from YouTube saying our video had exceeded 20,000 views and was now eligible for revenue. I was shocked. Why in the world did that video get so many views. We didn’t even know about video SEO, titles or keywords. We just posted this fun video we did. It turns out that a flame war started. Lots of people were talking about the video. Some loved it. Some hated it. Some thought it was fun. Some thought it was racist. The high level of engagement was skyrocketing the views. Today, there are more than 36,000 views and 220 comments. Engagement works! Finally, produce content for your channel on a regular basis. A steady stream of video content will grow your followers and demonstrate consistency and reliability. An ideal target for content delivery is once a week for videos. If you can consistently deliver one video per week, you will grow your channel very quickly. 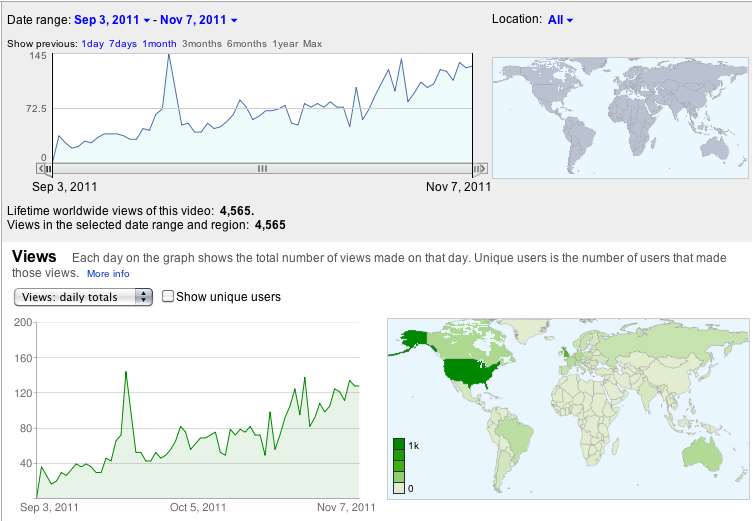 Overall, this has been a great experiment in Video SEO! 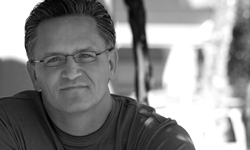 Good stuff Russ, thanks for featuring this case study! 10K views will attained in no time I’m sure! Thanks Jeremy! I appreciate the feedback. Wow Russ… great study. Love the specific metrics. It’s not just something theoritical, but practical stuff you’re giving us. Go Caleb! Video viewing metrics are really important. YouTube’s metrics are a bit limited, but still provide you good feedback.